Teacher’s Days – every day's a holiday! There are dozens of Teachers’ Days celebrated on different dates around the world, often on the birthdays of countries’ greatest instructors. Taiwan and India celebrate Teachers’ Day in September with the observed birthdays of Confucius and Radhakrishnan respectively. The Czech Republic celebrates on March 28 with the birthday of Jan Amos Komensky. Finland honors Mikael Agricola on April 9. China celebrates Teachers’ Day on September 10. 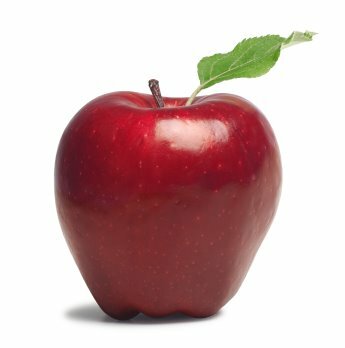 In the United States, the first full week in May is Teacher Appreciation Week. But October 5 is World Teachers’ Day, an observance that began in 1994 and has been picking up momentum as an international celebration ever since. But that has nothing to do with Teachers’ Day (though it does sound like something we should have learned in school). No, best we can tell, the October 5 date may have something to do with the fact that most school years start in September, and by early October, the kids haven’t yet driven their teachers absolutely insane. (That comes mid-November). October 5 was also the date in 1966 that UNESCO adopted a “Recommendation concerning the Status of Teachers” at the Special Intergovernmental Conference on the Status of Teachers. We doff our caps to those who have chosen teaching as their full-time profession! Before embarking on a journey of revenge, dig two graves. Today is the (observed) birthday of the man whom many believe to be the greatest teacher ever, Master Kung, K’ung Fu Tzu. Or as he’s known in English: Confucius. Compared to his legacy, the circumstances of his life were somewhat underwhelming. He was born in 551 BC in Lu, China, into a poor, once noble family. His father died when he was three. According to the Chinese philosopher Mencius, Confucius worked as a storekeeper, and also tended to oxen and sheep in the public fields. A large chunk of Confucius’ life is missing from the record, as can be expected from a non-royal figure who lived 2500 years ago. But these gaps have been filled in by millennia of legends. We do know that by his early fifties, Confucius was in the employ of the Duke of Lu, Ding, as Minister of Public Works and as Minister of Crime. But Confucius left Lu and the court of the Duke at age 52. Whether it was because of some moral ambiguity on the part of the Duke’s, because of a social snub toward Confucius, or because of animosity from those vying for the Duke’s power, we can’t be sure. 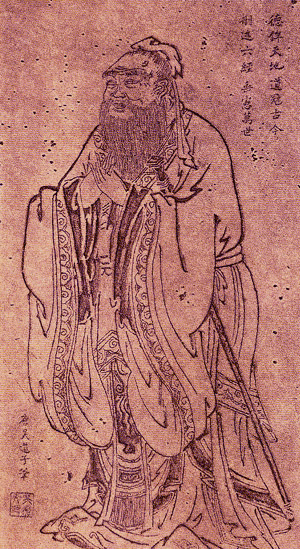 Confucius spent the next several years traveling through China, to the states of Wei, Song, Chen, Cai, and Chu. He returned to Lu in 484 BC where he lived out his remaining years. By the time of his death he had amassed a sizable following of students, who would formalize and carry on his teachings. Like I said, underwhelming. But by the next century, Mencius would write, “Ever since man came into this world, never has there been one greater than Confucius.” Confucius was remembered as a sage who should have been king, in a world too shortsighted to see that. Though his teachings and philosophy were based on studies of history, they were vastly different from those that came before. He defined the practices of virtue as Gravity, Generosity of Soul, Sincerity, Earnestness, and Kindness. He condoned strong attachment to family and respect toward elders and ancestors. And he put into words the Golden Rule of reciprocity: Don’t impose upon other what you would not want for yourself. There are an estimated 6 million followers of Confucianism around the world today, but these are a small minority of those who follow the teachings laid out by Confucius over 2500 years ago. 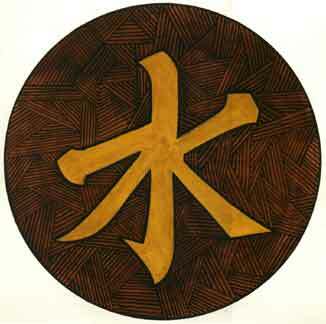 Confucianism remains a dominant philosophical system in Chinese life. His philosophy and teachings fundamentally influenced Eastern thought since his lifetime, as well as Western thought following Confucianism’s introduction into Europe by Jesuit Matteo Ricci in the 16th century. 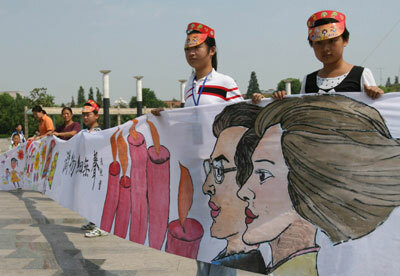 Since the 1990s, birthday ceremonies in honor of the Great Teacher have flourished in China, after decades of repression. The nation of Taiwan celebrates this day as Teacher Day. Confucius Temple Ceremony in honor of Confucius’s birthday. Teacher: I thought I told you to stand at the back of the line! Pupil: I tried, someone was already there. Mother: What did you learn in school today? Student: Not enough, I have to go back tomorrow. In 1951 the new Communist Chinese government bumped Teachers’ Day to May 1, Labor Day, but as you can imagine, the event was overshadowed by one of China’s biggest holidays. In December of 1984 the Beijing Evening Paper published an article citing a suggestion by Professor Wang Zikun who proposed that teachers be given their own day once again. The idea quickly gained support and a September 10th Teachers’ Day was put into law the following year. Why September 10th? The reason to choose this day is because when the fall semester begins, a fine studious atmosphere will be created if activities of respecting teachers and valuing education are held. China has two other holidays dedicated to specific professions: Nurses (May 12) and Journalists (November 8). True seekers are those who never end their quest. All across India hundreds of millions of schoolchildren celebrate Teachers’ Day. In many schools, children dress up like their teachers. Teachers meanwhile, sit in the back of the room, like students, as the students lead class, and roles are reversed for a day. Students have a chance to see from their mentors’ eyes, and teachers remember what is was like to be a student, to have the one other job as important as teaching: learning. 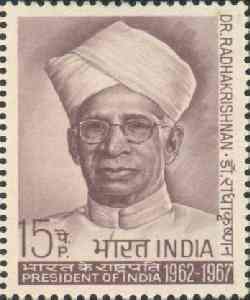 The lesson plan may include a look at the man behind Teachers Day, Sarvepalli Radhakrishnan. Radhakrishnan taught subjects including philosophy, ethics and comparative religion at the Universities of Calcutta, Oxford, and Ahndra. In 1952 he was elected the first Vice-President of India. Ten years later the philosopher became India’s second President. Today the country of Finland celebrates Finnish Language Day, also known as Mikael Agricola Day. 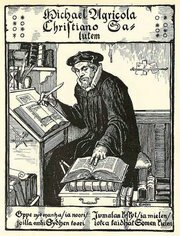 Mikael Agricola may not have started Finnish but he is celebrated as a national hero for creating and codifying the written version of what was largely an oral tradition up until the 16th century. Agricola was appointed Lutheran bishop of Turku in 1554. One of the tenets of the Reformation was the translation and reading of scriptures in native languages. 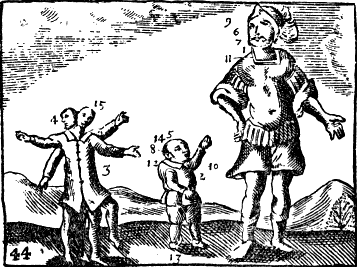 Agricola translated the New Testament into Finnish in 1548. Se Wsi Testamenti — the aforementioned Finnish translation of the New Testament, Agricola’s greatest achievement. Three liturgical books (1549). Two include prayers, services, and rituals. The third is an amalgamation of the Four Gospels, detailing Christ’s suffering. Agricola hoped to translate the Old Testament as well. But his life was cut short. Returning from Moscow where he had negotiated a peace treaty, Agricola became ill and died on April 9, 1557. He was 47. He’s remembered each year on April 9 as the Father of the Finnish language. The major languages of the Scandinavian countries—Swedish, Danish, Norwegian, and Icelandic—are all related except for Finnish. Near as we can tell, Finnish isn’t related to anything except perhaps Hungarian and Estonian. Finnish isn’t even an Indo-European language. The Finno-Ugric languages are their own distinct branch, though from what tree is anybody’s guess. It’s possible that if Agricola hadn’t come along when he did, the language of Finland would have been overrun by the languages of its more powerful neighbors.